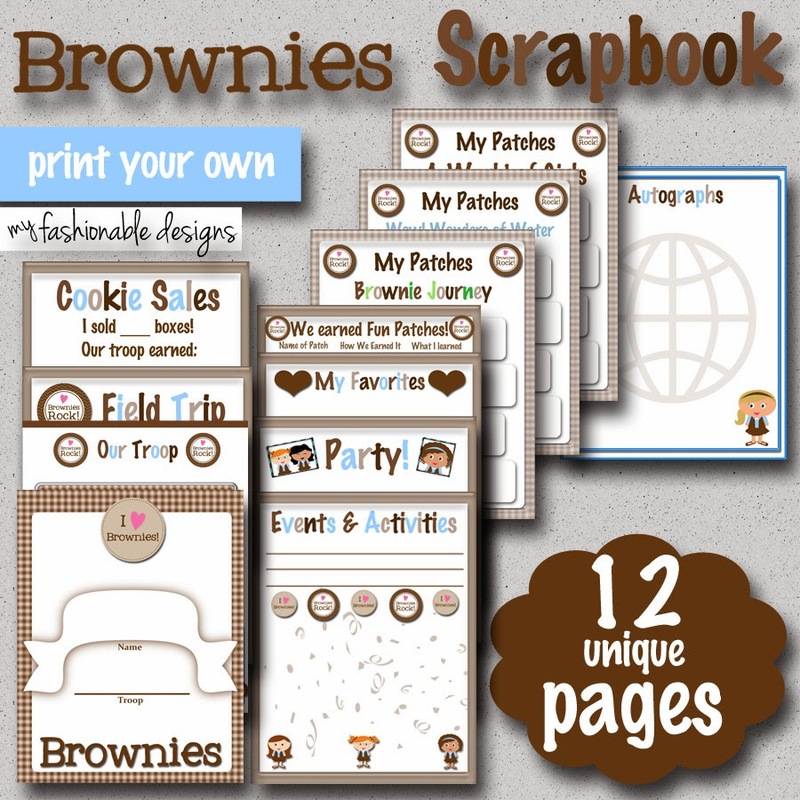 My Fashionable Designs: Girl Scouts: Brownies Scrapbook!!! Most of my Girl Scouts printables are free, but like the Daisies Scrapbook, I had to make an exception to this new Brownies Scrapbook Pages Set for one reason: the amount of time I spent to create it! But don't worry, this instant download is only $4.00 in my Etsy Shop! Or if you enter TAKE2 in the promo code at checkout, it's only $2.00!!! !